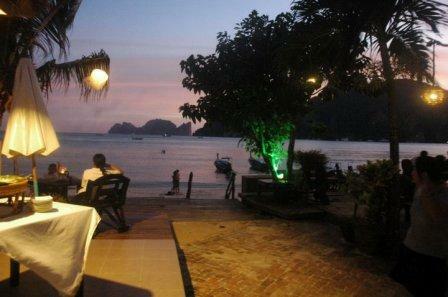 Phi Phi Villa Resort is perfectly positioned in an ideal location at the end of Tonsai Bay on Koh Phi Phi Don. The beachfront location of this 2 to 3 star resort provides fantastic views across to the picturesque Island of Phi Phi Ley. We looked at the Villa Resort and many other hotels and resorts a couple of years back, knowing that we would be returning to the islands for a family vacation. The location of the villa resort and the beautiful pool was initially what took our eye. We had already enjoyed 3 fantastic nights at another resort on the other side of the island at Lo Dalam Bay. As much as we enjoyed staying at Lo Dalam Bay we wanted to experience staying on Tonsai Bay side of the island for our next visit. 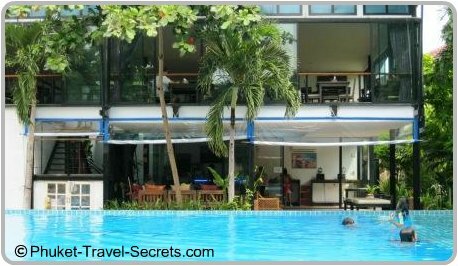 Before we booked our accommodation at the Phi Phi Villa Resort we read all the reviews on Agoda and other booking engine sites, including reviews on Trip Advisor. Most of the reviews we read were really not that encouraging and if we had not seen the resort the year before we probably wouldn’t have booked. After weighing it up we decided to go with our initial thoughts and book the Phi Phi Villa Resort, to see for ourselves what it was like to stay there. As we were traveling with two teenager kids, who prefer their own space, we decided that we would stay in two deluxe villas. We initially thought about staying in one of the luxury deluxe family villa suites, or a deluxe family bungalow suite which are both ideal for families with younger kids. As we had booked our accommodation online using Agoda and not directly through the resort, the resort had no idea what time we would be arriving on the ferry. So we sent an email to the Villa Resort, notifying them of the name of the ferry and the time we would be arriving on the Island. This handy travel tip saved us carrying all our bags from the pier to the resort, instead we were greeted at the pier by a friendly porter, who took our bags and loaded them onto his trolley then he happily escorted us to the villa resort. Check in at the Phi Phi Villa Resort was trouble free; upon arrival the staff at the front desk were very polite and helpful offering us cold towels and a refreshing drink. As we had arrived on the morning ferry we were prepared that we may not be able to check into our villas until after lunch, however we were pleasantly surprised to find that our rooms were ready for our arrival. The Phi Phi Villa Resort caters for all tastes and budgets with a good selection of room types available with 62 rooms, bungalows and villas to choose from. 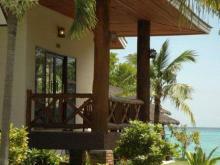 The Deluxe Rooms at the Villa Resort are located around 100 meters back from the beach in a peaceful garden setting. The deluxe rooms have limited ocean views from the balcony, and are suitable for two people, featuring either a king size bed or twin beds. The Deluxe Bungalows and Villas at the Villa Resort, feature either a terrace or balcony and are located just meters away from the beach. 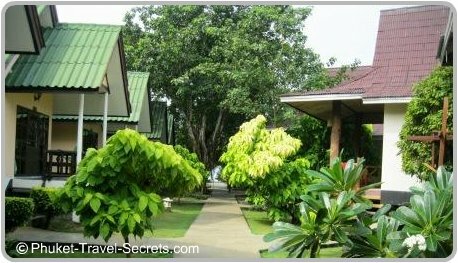 The Deluxe Bungalows and Villas sleep two people and feature either a king size bed or twin beds. For family vacations there is also a Deluxe Family Bungalow Suite or a Luxury Deluxe Family Villa Suite available. There is a good range of facilities available at the PP Villa Resort including a large swimming pool with an attached kid’s pool, perfectly positioned just steps away from the beach. A buffet breakfast is served in the purposely designed breakfast room above reception overlooking the swimming pool from 7.30am until 10.30am. 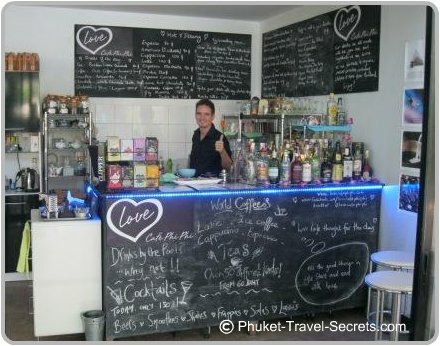 For a good coffee, the Love Café is the ideal spot. They not only have fantastic coffee they also have a great selection of yummy fruit smoothies, shakes and cocktails, which you can enjoy by the pool. Carpe Diem, the famous chill-out bar is located directly on the beach in front of the Villa Resort, here you can relax on beach cushions and listen to live music while enjoying the nightly fire-shows. Phi Phi Villa Beachfront Restaurant serves a tasty selection of fresh seafood, home-baked pizza’s, pastas and Thai cuisine. We can honestly say that we thoroughly enjoyed our 3 night stay at the Phi Phi Villa Resort and would highly recommend the resort for couples or family vacations at Ko Phi Phi Don. 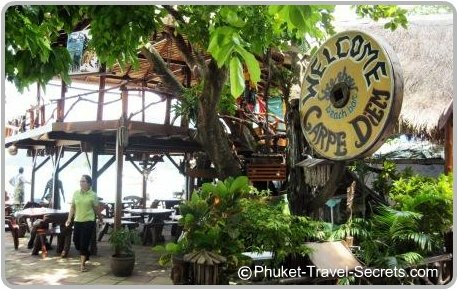 The Phi Phi Villa Resort is only a short 10 minute walk from Tonsai Pier and Tonsai Village where you will find loads of restaurants and shopping. Check room rates to see if this resort suits your budget. 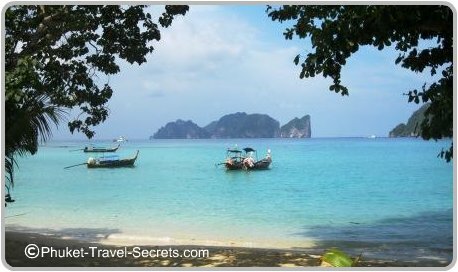 A handy travel tip to remember if you book your accommodation online at the Phi Phi Islands, is to send an email to the resort that you are staying at to notify them of your time of arrival and the name of the ferry that you are booked on.